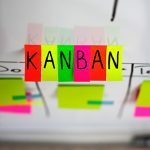 Using swim lane diagrams to communicate complex principles can make your life a lot easier when you fully understand the way they are able to project information. This is due to their design and practicality, things are laid out in a clear and concise manner. Don’t be fooled into thinking this is a shortcut, but it does mean that an individual is able to ascertain a number of important points in a short period of time, helping you to grasp a better plan for your situation or task at hand. Even though the name may sound complex, the process and end result are made much easier in the long term. 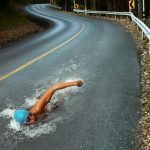 An easy way to show a complex problem or principle is going to be a game-changer for everyone involved, and the swim lane approach is one of the best solutions in existence. The basic idea of a swim lane diagram very similar to a flowchart that splits processes up into smaller sections. This can show the overall flow from one step to another. Through the use of various shapes that cross over the different lanes, it can indicate how different aspects are linked together, or the role different parts can play in delivering the end result. 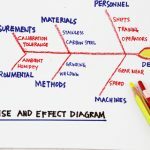 A swim lane diagram is slightly different than a typical flowchart in that it splits things up into categories. The categories can refer to different employees that have a specific role to play in the process, or even a different department. By using lanes, it means that these various actions are displayed, making it easier to follow what is going on and the role that each individual has to play. The problem with trying to communicate any complex principle is that people may have a difficult time in understanding what is expected of them. A flow chart helps us visualize and digest problems and work out possible answers. Humans operate better with visuals over anything else, which is why this form of diagram has been shown to be so effective in the work environment. By studying this diagram, it allows each individual to understand every aspect and the links between various stages. They become aware of their individual role, how they interact and also the point where their actions, or involvement, becomes key or influential in a positive or negative way. Furthermore, swim lanes can clearly identify potential areas that could become a bottleneck in the approach, with this being identified before it becomes a major issue. In addition, it will also be able to determine who is responsible for effectively resolving the bottleneck, as the diagram shows the exact point where it occurs. 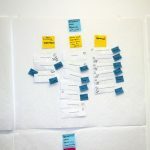 These diagrams will also boost the way in which different departments or individuals within a company will be able to communicate with one another and work together as a team. This is due to everybody being aware of what they are doing and how each department is interconnected throughout the entire process. A swim lane diagram can uncover gaps in theories or processes, which makes it substantially easier to resolve them if they occur. Furthermore, they can also uncover areas in theories or processes where ideas and concepts have been duplicated. Clearly, this is going to have an impact on the end result, as well as increase the potential of effectively wasting money or creating additional misunderstandings. Routes, answers, explanations and solutions are much easier to understand when we use charts. By using it to pinpoint each part, it will prove to be easier to counteract various problems thanks to using this method. 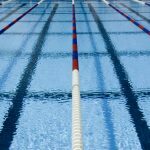 A swim lane diagram is an effective and powerful method of breaking down a complex problem or principle into individual components that can be assessed. By categorizing each part and breaking it down into parts and allowing each individual to be aware of their role, it stands to reason that they will be in a better position to know what follows next.